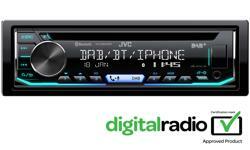 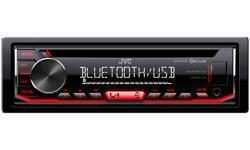 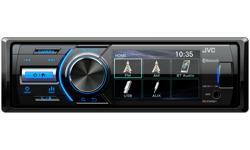 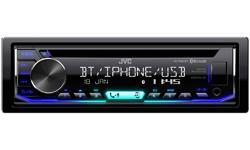 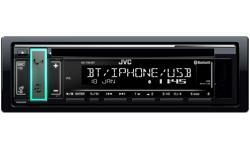 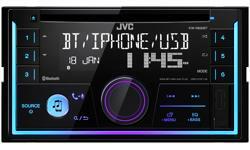 Bluetooth DAB Radio KD-DB98BT • JVC U.K. 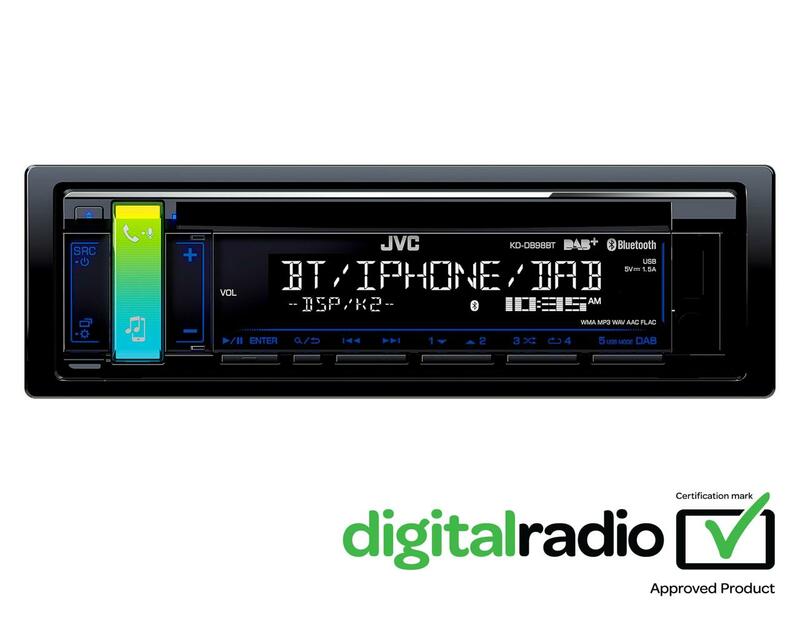 The KD-DB98BT comes with Bluetooth wireless technology allowing two phones for hands-free calling, stream your favourite songs and playlists via your preferred music streaming services. 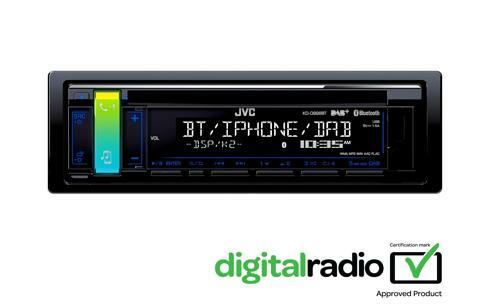 Also included (DAB) Digital/FM Radio, Android, iPhone/iPod music playback and front facing USB / AUX inputs and CD for enjoyment on the move.